The recent passing of our longtime friend, Ravindra, has led me to reflect on the preciousness of the connection we shared over many years. In our culture, most of us rarely have direct experience of witnessing either birth or death, yet these are universal life experiences. For many, the subject of death is morbid and fearful, yet it is as much part of life as birth – just the other end of the rope. If we know that death is an unavoidable thing, then why be afraid? Why make it such a big thing? Death can be an offering to God. God gave us birth and now we are offering this body back to God. Life’s essence is absolute, omnipresent, and immortal. Death is but a change of form. Human beings, animals, the vegetable kingdom – all are alive. They take birth, grow, decay and die (change form). When one form changes into another form it is called death, although the life force still exists in a that form. For example, as soon as a plant dies, a second life force takes birth and starts to decay it. When it is completely decayed, a third life force starts working. The cycle of change of forms goes on and on, but the essence of life is always there – it is immortal. Even for one who believes that the death of the body is not the end of the story, it is natural to grieve when someone close to us dies. We miss the presence of that person, although our love never ceases. The death of someone dear to us brings home the reality of death. People die; we will also die, and we are reminded again of the preciousness life – so fragile and fleeting. In the end we all have to let go, and we may as well practice right now. Life includes everything. Loss is part of life, giving us many opportunities to begin to let go of our attachments and let ourselves fall into grace. It is the fragility of life that makes it so precious. Illness, loss and death are reminders of the transient nature of physical existence, and the miracle of this human birth. This is life. It includes pleasure, pain, good, bad, happiness, depression, etc. There can’t be day without night. So don’t expect that you or anyone will always be happy and that nothing will go wrong. Stand in the world bravely and face good and bad equally. Life is for that. Try to develop positive qualities as much as you can. May we never again forget our immortal nature. 9 thoughts on "Reflections on the fragility and preciousness of life"
Thanks for this today. I appreciated these thoughts. Particularly “Stand in the world bravely and face good and bad equally. Life is for that”. How true. It is so easy to get caught up in fear. Immobilized by it. I am going to continue to work on this. Embracing the ride. The uncertainty. Without it, life wouldn’t just be dull, predictable and boring. We would never learn to be strong. I am grateful I read this today. Thank you. Thank you Sharada. With you in life and death. Thanks for that Sharada! Very well said! We have been well taught and we should practice these teachings.absorb them deeply and never forget theatre purpose of life! We are deeply indebted to our beloved guru for giving us this gift of knowledge and understanding. May peace be with us all! Thank you, Sharada, this was lovely and inspiring to read. I thought of you as I read it and then to see at the end that you are the one who contributed the piece seems so perfect. yes… May we never again forget our immortal nature. 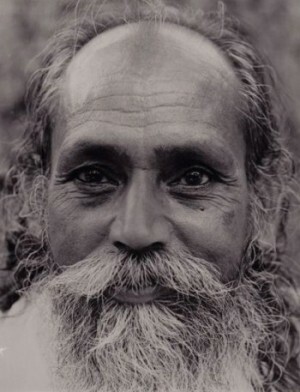 I’ve wondered for some time why some yogis even right now in India choose to remain immortal in one body, never dying. After reading this post I am reminded of what our purpose of being here on this earth is in the first place. To perfect oneself spiritually, peace, service, enlightenment/liberation. For the majority this will take many lifetimes of birth and death, which is hard because most of us forget what we have learned in our past upon being born again and again. I imagine this is why these yogis have chosen to remain on earth, to not have to forget, and perhaps also as an example of our immortal nature.